The Polynesian Paradise Dancers production of POSTCARDS FROM PARADISE is set during the summer of 1959 when Hawaii joined the union. It was during this time that the new direct flights from the mainland to Honolulu opened up the Hawaiian experience to a whole new generation. 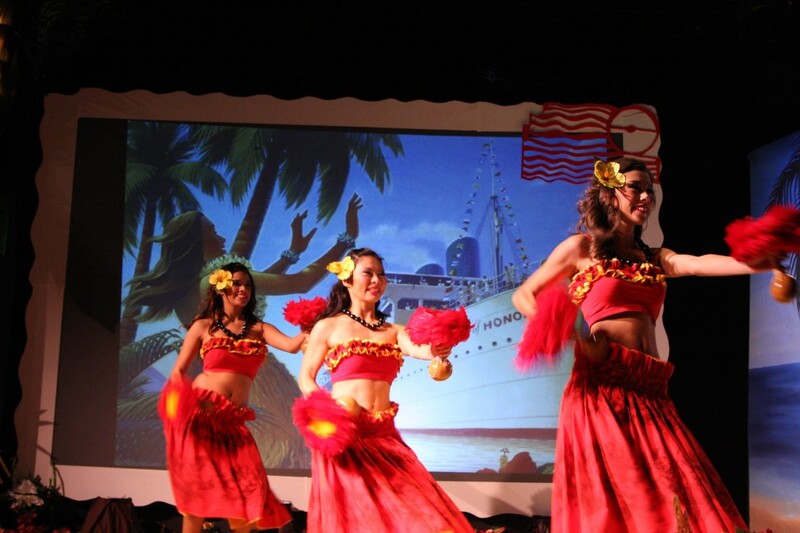 This enchanting show will take you back on a vintage journey to the South Pacific. We recreate that timeless Hawaiian vacation experience, starting with your arrival on the islands just as it was in 1959. What follows includes a surf lesson, trip to the local tiki bar, island luau dancing and much more! It promises to be an unforgettable and mesmerizing experience.